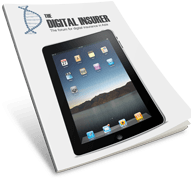 Insurance has always relied on the human interface when dealing with customers. Which means employing lots of staff in each jurisdiction to talk to customers. Which means lots of desks, lots of management and lots of cost. And it means a great big barrier to the globalisation of insurance. Until now. Because now we have language processing tech that removes the reliance on the human interface. If you don’t believe me, ask Siri! For this month’s InsurTech Insights I will look at the globalisation of insurance and the AI enabled tech platforms that enable it. In 1962, before globalisation, Ford of Britain launched the Cortina and it became one of the best selling cars of its generation. Shortly afterwards, Ford of Germany launched the Taunus, a car entirely based on the Cortina. The Cortina and the Taunus were essentially the same car but built separately by the two divisions of Ford in Europe. It wasn’t until 1976, as part of Ford’s unification of operations, that the two divisions of Ford started to share production of the Cortina and Taunus as a single product for Europe. The experience had its problems, but the savings signposted to the next objective, the Sierra, conceived from the beginning as a world car. One model that could be adapted for every Ford market in the world, allowing Ford massive economies of scale. Interesting? Maybe if you are over 50 and, like me, watched your dad lovingly polish and wax his Cortina every Sunday, but what’s my point? My point is that in the 1970s both divisions of the same brand repeated the same process in different jurisdictions. Today, it’s inconceivable that a car would be entirely manufactured on a country-by-country basis. Now imagine that we are talking about the globalisation of insurance and not motor manufacturing. Can you see the parallels? From onboarding to claims, across the entire insurance value-chain, multi-national insurers repeat the same process on a country-by-country basis. And it’s worse because they are also siloed within the country organisation by lines of business. This is the legacy of the 20th century when insurance went from being niche to a mass market industry. Consolidation in the pursuit of large numbers after the Second World War resulted in global brands effectively operating as a collection of small companies. 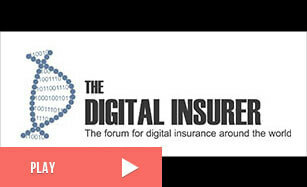 But, in the digital age, insurers can now start to think and act differently. Cost of operations is too high and customers expect more, especially from global brands. Change is already happening, albeit slowly. A lot of this change is driven by InsurTech and the rethinking of insurance by entrepreneurs enabled by new tech capabilities and the proliferation of cloud based platforms. Two of the key reasons for the lack of globalisation in insurance are (a) customer service, and (b) the insurance value chain is (still) manual. The largest insurers have many 10s of 1,000s of agents serving each jurisdiction, all replicating common processes and operations across multiple geographies. This is largely because of the language barrier. Even if the process has moved onto a digital workflow, it’s still a manual operation, only without the paper. And impossible for a German speaking agent to process a French originated quote or claim. But this is all about to change because language will no longer be the barrier that it was. I first wrote about this back in 2016 after I met Spixii at Startupbootcamp InsurTech in London. Earlier this year, Spixii took just six weeks to launch a claims chatbot for Zurich UK. The reason for Zurich wanting to do this was so that they could provide a 24×7 claims service to customers and remove the reliance on human working office hours. At the recent British Claims Awards, the Spixii solution for Zurich Insurance UK won the Innovative Use of Technology Award. Later this year, the Google Assistant AI will be capable of 30 languages. When deployed in the Google Home, voice will be the only interface with the Internet. With Amazon and Apple chasing this lucrative market too, you can have no doubt that the 3 largest tech giants are going to nail this language processing technology, and soon. It is this digitisation of language processing that will enable insurers to fundamentally redesign their operations. It’s a subject I have covered before in this article. Instead of having in-country operations with large numbers of agents counted in the 1,000s, digital globalisation will enable insurers to run with significantly smaller workforces. That’s because the bulk of insurance functions will be automated through common digital processes running on uniform cloud based platforms. The reliance on a human to understand language will be removed, or significantly reduced for many common insurance processes. Instead, tech platforms using AI and machine learning language processing systems will perform the majority of customer engagements. The cost saving opportunity is substantial for insurers as they move from being human based to highly automated digital businesses. The new breed of cloud-based software platforms are designed and built for the unified business model. They are 21st century solutions that enable insurers to embrace new technology capability in a way that traditional software products simply can’t do. They also provide speed and agility in a world where, for too long, internal IT has been on the critical path of all major change programs. In the digital economy, automation is the key to making it easy to do business. And platforms are the key enabler of automation among incumbent insurers. But don’t just take my word for it. To find out more, I spoke with two InsurTech digital platforms about how they were enabling insurers with their innovative solutions. The first is tigerlab with their global insurance platform called i2go. The second is Rightindem, the AI and self-service claims platform. tigerlab is a great example of an InsurTech startup. Originating from Malaysia, they now have offices in Kuala Lumpar, London and Buenos Aires and already boast an impressive client list. I recently met with Daniel Longhi (MD), Tobias Bergmann (CEO) and the team from tigerlab to learn more about their insurance platform, i2go. Daniel gave me the background, “We’ve built a system that is designed to be flexible, agile and quick to implement. Because this is what our clients want. We still find insurers telling us that they are frustrated with their IT projects that are late and over spent. “The i2go platform is designed around micro-services, a bit like Lego. This means it’s modular in design and our clients can pick and chose the modules they want and ignore the rest. The point here is that i2go is a technology platform designed and built in the digital age. It’s not, like the vast majority of insurance software products, a legacy system with digital front-end. The key to i2go is to understand that the architecture is based on a holistic approach to the customer journey, which is broadly the same across different jurisdictions. This focus on the customer journey reflects the CEO Tobias’ background in SAP before he started tigerlab. “The whole process follows the customer journey from initial sale through to renewal. We call it the 360 view of the customer. This is a common thread that runs through all the micro-services. Instead of being a collection of integrated silos, we’ve built a system that allows our customers the flexibility and agility to plug and play with the modules that they need. Tobias and Daniel are so confident about their solution that they’ve taken a very innovative route when it comes to buying it. Instead of the traditional model of an upfront licence cost and/or a substantial IT implementation project, tigerlab work on a Pay-As-You-Go model. The upfront effort with tigerlab is minimal because of the modular and repeatable design of the system. Any costs required for set up are offset against future revenues in a voucher mechanism. Once live, tigerlab charge on a transaction basis against actual business done by the insurer, such as a percentage of GWP. With tigerlab offering a flexible platform based approach to the insurance sales journey, I turned to Rightindem to give me the view from the other end of the customer journey; the claims process. Regular followers of InsurTech Insights will recognize Rightindem as an InsurTech startup I’ve covered before. They will also know that I am an investor and advisor to the board, led by CEO, Dave Stubbs. It was Dave who first told me the Ford Cortina story as a way of illustrating where the insurance industry is today compared to where motor manufacturing was yesterday. On the subject of globalisation for insurers, he explained; “The automation of insurance is going to mean that in-country operations will be replaced by borderless operations. The solution that we’ve built at Rightindem validates this. Of course, with many insurers still organised around siloed lines of business within siloed country operations, even if the most enlightened of digital innovation teams wanted a cross-jurisdiction approach, the reality is that many insurers today would be unable to implement it. As I said before, this has to change. Not only is the scale of operational efficiency huge, and customer expectations changing, the nature of risk is also changing in the digital world. Take cyber security (the subject of next month’s InsurTech Insights) and the ever-increasing threat to businesses, institutions and individuals on a global scale. By its very nature, this is a global risk that shows no regard for international boundaries. A hacker in one part of the world attacks servers in another that impacts users somewhere else. Is a siloed insurer best placed to cover a global risk like this? The point is that the world is digital now. It operates 24×7 and is becoming increasingly automated and increasingly global. The emergence of affordable and agile cloud based software platforms like tigerlab and Rightindem, plus the advances in language processing negate any argument for maintaining the status quo in insurance operations. Just as there was back in the 1970s, when Ford responded to the threat from new entrants such as Datsun from Japan. The author Rick Huckstep is Chairman of The Digital Insurer and a keynote speaker, advisor and startup investor.